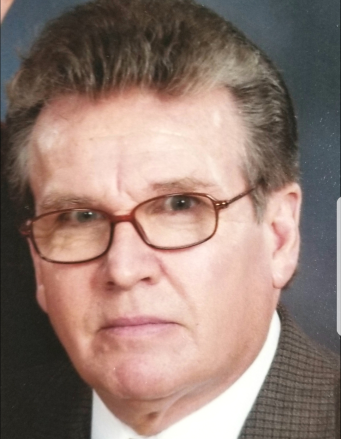 Patrick F. Mason Sr., 71, of Minersville, passed away peacefully early Sunday morning at his home in the presence of his family. Born in Pottsville, he was a son of the late John and Elizabeth Williams Mason. He was educated in the Pottsville schools. He was a member of St. Michael the Archangel Church, Minersville. He was retired from the construction industry and the Minersville Borough. In addition to her parents, he was preceded in death by brothers John, David, Bernard and Thomas Mason. Patrick is survived by his wife of 48 years, the former Maria Angelo; a son Patrick Mason Jr. and his wife Angela, Jonestown; 4 grandchildren, Paul Schriner, at home and Cassidy, Coy and Colt Mason, Jonestown; a daughter Maria; a brother William Mason, Pottsville; sisters, Inez Tassone and Anna Colihan, both of Pottsville, Marie LePine, Reading, Elaine Hossler, Shenendoah; a sister-in-law Rosalie Mason, Palo Alto; nieces and nephews. Mass of Christian Burial will be celebrated in St. Michael the Archangel Church, 539 Sunbury St., Minersville at 12 Noon Friday by the Rev. Christopher M. Zelonis Relatives and friends may call at the Donald J. Butler Funeral Home, 328 Sunbury St., Minersville on Friday morning from 9 AM to 11:30AM. Interment will be in Queen of the Universe Cemetery, Peach Mountain.